Added on July 24, 2015 by Joe Swift. At Antrim Grove the column to ground floor of the block of flats has been removed to allow an extra car parking space. 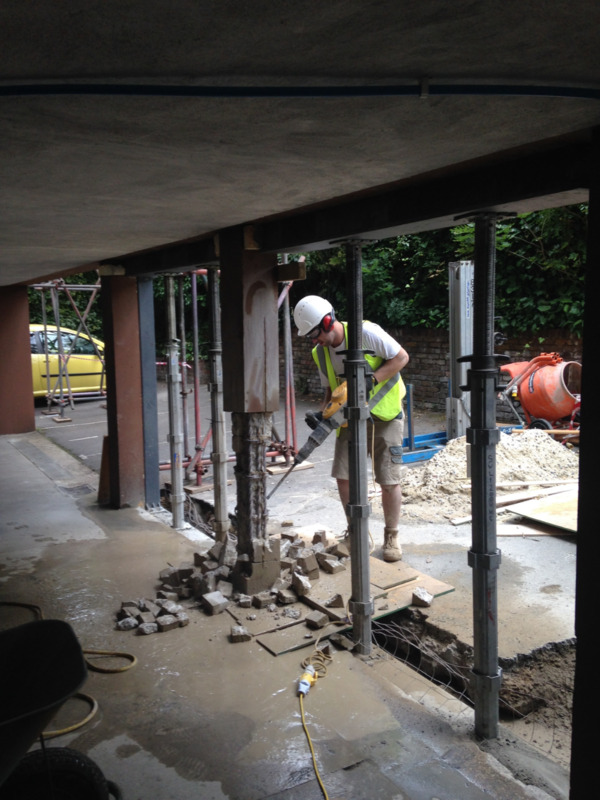 To remove it the building had to be temporarily propped up with the permanent works and hydraulic jacks; a smooth and collaborative process.